We are trying to get the users more involved in the project and to improve the state of the documentation. For this reason, we have set up a wiki, like the Wikipedia, except only about MINIX 3. 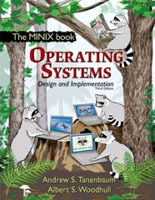 It is located at wiki.minix3.org. The intention is to move all the documentation there. Anyone can edit it. You can, too! * Indicates that the file is in PDF format.